bet365 Casino members will now be able to enjoy an even larger catalogue of slot games as the popular online gaming network has begun releasing new 3D titles. These slots come as the result of a recently signed deal between bet365 and online game developer Sheriff Gaming. The first batch of new titles to be added to bet365 Casino includes seven three dimensional slots (Dr. Magoo, Atlantis, Cars and Cash, Goldraider, French Cuisine, The Amsterdam Master Plan and Magical Forest). 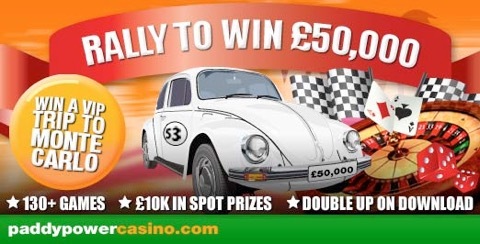 Each game has been designed by Sheriff Gaming, bringing the developer's well regarded software to bet365 Casino members. The new arrangement between Sheriff and bet365 has only just begun with the release of the seven new slots mentioned above. The supply deal agreed upon by both entities will see more titles from Sheriff Gaming's extensive catalogue brought to bet365 Casino in the months to come. Steve Ibberson, Gaming Managing Director for bet365, said that the deal with Sheriff Gaming provided his company with "an excellent addition" to the site's catalogue and a great way to "evolve [bet365 Casino's] portfolio." Sheriff Gaming's spokesman, Eric Roskamp, added that his business is "extremely proud that our games have been recognized by bet365" and "confident that [the company] will be pleased with the reaction from its players." bet365 Casino plans to add further 3D slots in the future as part of its ongoing business relationship with Sheriff Gaming. We have just released a beginners guide on how to play Roulette. 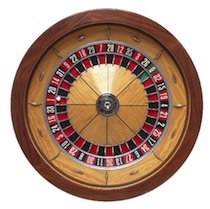 The guide to playing Roulette is aimed at the novice with no prior experience of Roulette. This, along with the History of Roulette will give the beginner enough background information to allow them to start playing in the Internet Casinos to try their luck with Roulette. The next article we have brought you here on Findabet is one that covers the History of Roulette. Roulette is a game that has been played for hundreds of years and is one of the most common games found in modern Casinos as well as Internet Casinos. Check out the History of Roulette as I am sure you will find it interesting.